A unique collection of 750 exquisite watercolours of animals, birds and plants from the late Renaissance period from TEFAF is to be exhibited at the Rijksmuseum in Amsterdam. 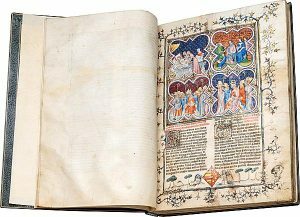 The Natural History Paper Museum of Holy Roman Emperor Rudolph II was one of the most extraordinary items on offer at this year’s TEFAF and dates from the late Renaissance period. 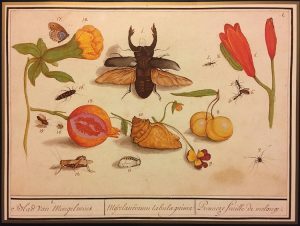 The albums were purchased by a private collector from Antiquariat Bibermuehle AG Heribert Tenschert for a seven figure sum and will be on long term loan to the museum. Compiled between 1596 and 1610 as a compendium of zoology and botany—a Historia Naturalis—by Rudolph II’s court physician, Anselmus de Boodt they have remained together for four centuries. The watercolours are still pristine. From common domestic and farmyard animals like dogs, cats, horses and cattle to exotic creatures such as the ostrich, walrus and porcupine and extinct ones such as the dodo and even a dragon ‘drawn from life’, the compendium offers a glimpse of the range of plants, animals and birds believed to exist at the dawn of the Dutch Golden Age. Although De Boodt aimed to supply a faithful ‘scientific’ reproduction of each living thing, the animal illustrations in particular have a lively, humorous air that sets them apart from earlier models. If you want Old Masters or modern giants, from Breughel to Monet to Van Gogh to Picasso, TEFAF in Maastricht is the place to be. The European Fine Art Fair which runs from March 10 to 19 is an assembly of art, antiques and antiquities like no other. Business has been brisk at a press preview where some of the leading curators in the world rubbed shoulders with billionaires in pursuit of the range of the sometimes gobsmacking delights on offer. London dealers Colnaghi made a five million euro sale at preview. 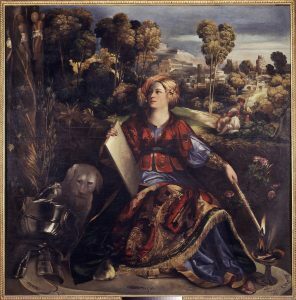 Their previously unknown masterpiece by Bartolomeo Cavarozzi (1587-1625) has been in the same family collection for over a century and had been misattributed. 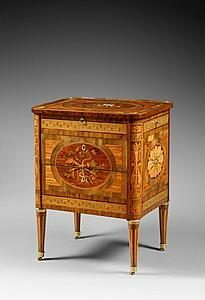 A Royal Neoclassical Table En Commode For The Personal Use Of King Vittorio at Burzio priced at 250,000. 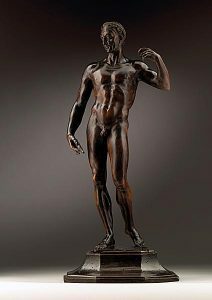 A selection of Italian paintings and sculptures from the 15th, 16th and 17th centuries from the Galleria Borghese in Rome will make up the loan exhibition at The European Fine Art Fair (TEFAF) Maastricht this year. 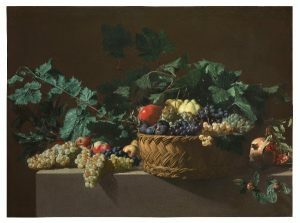 This is the first time that so many important works will be exhibited outside of the Galleria in Rome. TEFAF runs from March 10-19. 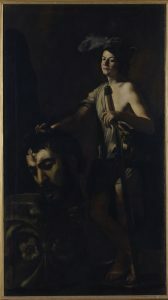 Among the highlights at the exhibition entitled ‘Galleria Borghese – An Italian Legacy’ are a large canvas by the Neapolitan painter, Giovanni Battista [Battistello] Caracciolo (c. 1578-1635) depicting David holding the head of Goliath and a recently restored painting by Dosso Dossi [Giovanni di Luteri] (c. 1486 – 1542), who was a court painter in the Renaissance Court of Ferrara. Melissa or The Sorceress Circe dates from around 1522. 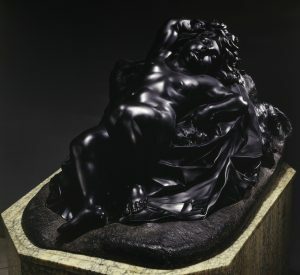 Sculptural highlights include Capra Amaltea or The Amalthea Goat by Gian Lorenzo Bernini (1598-1680) and Il Sonno or The Sleep by Alessandro Algardi (1598-1654). Il Sonno or The Sleep by Alessandro Algardi (1598-1654). 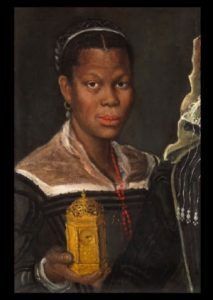 A rare late 16th century portrait of An African Woman holding a Clock by Annibale Carracci (1560-1609) will be brought to TEFAF, The European Fine Art Fair at Maastricht by Tomasso Brothers Fine Art. A full provenance for the work by the renowned Italian Baroque artist has been established and it includes King Philip V of Spain and Arthur Wellesley, 1st Duke of Wellington. The oil on canvas portrait was painted circa 1585 and depicts a finely dressed African woman holding a gilded clock and commanding a direct gaze. She wears a necklace of coral, pearl earrings, and intriguingly presents to the viewer a timepiece of extreme luxury and technological advancement, perhaps reflecting the sitter’s, or patron’s, modernity and intellect. During the 1580s Annibale Carracci was painting the most radical and innovative pictures in Europe. He introduced a new, broken brushwork technique to represent the effects of light on form, which gave his works an intimacy and immediacy. In-depth research by Leeds and London based Tomasso Brothers has revealed the rich history of this unusual painting; it passed from the studio of the artist Carlo Maratti (1625-1713) to Philip V of Spain via one of Maratti’s disciples, Andrea Procaccini (1671-1734), who was painter to Phillip V and in charge of decorating the monarch’s new palace San Ildefonso in Segovia. In August 1812 the painting was made a gift to Arthur Wellesley, 1st Duke of Wellington, along with 11 other works, following his stay at San Ildefonso Palace during the Spanish War of Independence. It remained in a private collection until sold by Christie’s London in 2005. The work was shown at The Walters Art Museum and Princeton University Art Museum (USA 2013) in the exhibition ‘Revealing the African presence in Renaissance Europe’. 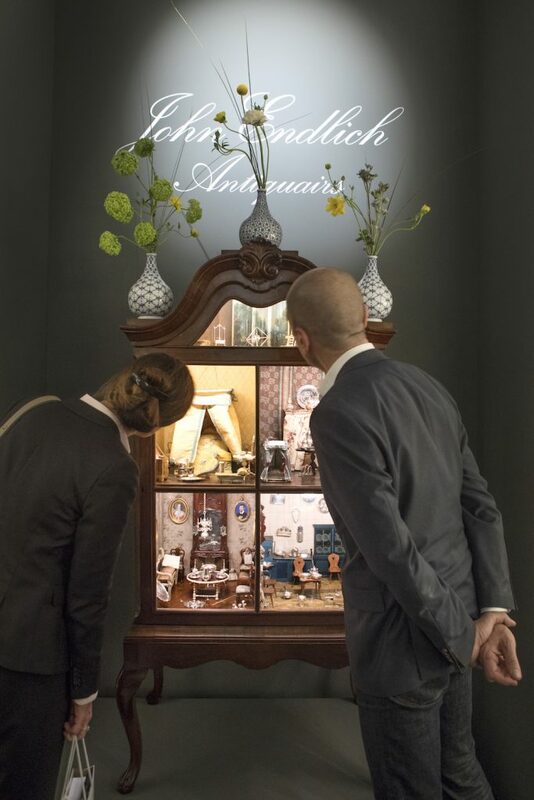 TEFAF is at Maastricht from March 10-19. 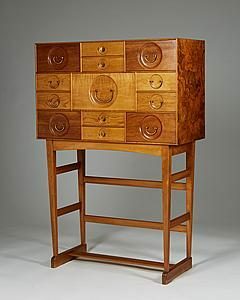 Significant sales are being notched up at TEFAF, which runs all this week at Maastricht in The Netherlands. 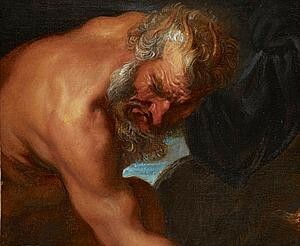 Among them was Jupiter as a Satyr – a fragment cut from Jupiter and Antiope, c.1620, oil on canvas, by Sir Anthony van Dyck (1599-1641), which was acquired from The Weiss Gallery by a private collector who is making a long-term loan of the work to the Rubenshuis museum, Antwerp. The Metropolitan Museum, New York, acquired Aristoteles Head, 1925, woodcut print, by Samuel Jessurun de Mesquita (1868-1944), from E.H. Ariëns Kappers. James Butterwick sold two 1916 works by Alexander Bogomazov to the Kröller-Müller Museum, The Netherlands – Memories of the Caucasus and Landscape, Caucasus. 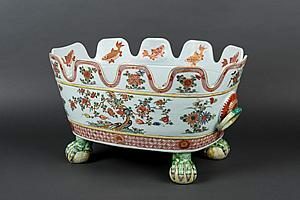 TEFAF reports that sales across all collecting categories are strong. Over 10,000 international private collectors, curators and representatives from the world’s leading museums and public institutions visited on the preview day and there was more than 7,000 visitors on the opening day. 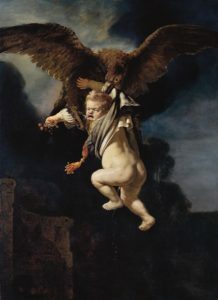 Major unveilings at TEFAF Maastricht, which opens on March 11 include a newly discovered very early work by Rembrandt. 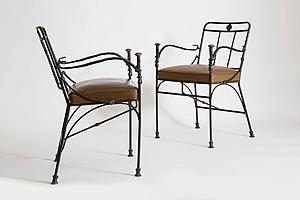 Talabardon & Gautier will present the work which was purchased at auction in 2015 catalogued as Continental School, 19th century. 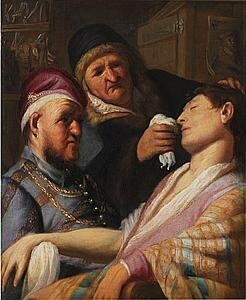 Meticulous research and cleaning by the gallery revealed it to be The Unconscious Patient (Smell), c.1624-25. The oil on panel was executed when Rembrandt was only 18 or 19 years old. In addition an example of what is believed to be one of Rembrandt’s earliest signatures was discovered during cleaning. 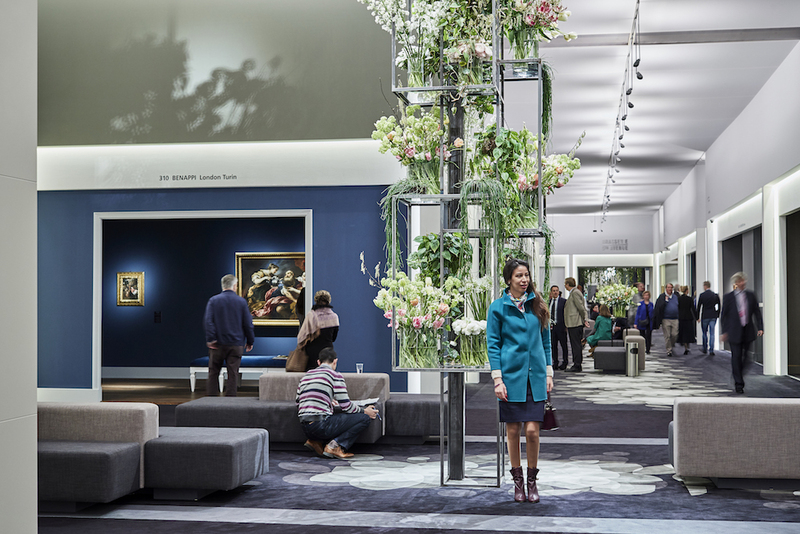 TEFAF provides an unparalleled platform for dealers to unveil discoveries and re-attributions to a discerning audience of international collectors. The 2016 TEFAF Art Market Report issued today shows that global sales fell 7% during 2015 from $68.2bn to $63.8bn. The volume of sales declined by 2% to 38.1 million. The picture that emerges in 2015 is of a highly polarized market, whereby most of the value within the market is shared between two sectors – Post War and Contemporary and Modern art – and is concentrated in sales at the very highest price levels. Although the global sales figure fell in 2015, sales in the US rose by 4% to their highest ever total of $27.3bn confirming its position as the global market leader, with a 43% share of total sales values. The UK, in second place, had a 21% share and China accounted for 19% by value. 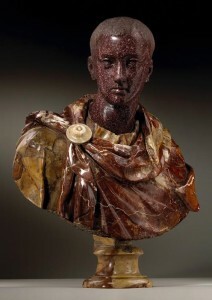 A pair of polychrome marble portrait busts of Cicero, civic hero of the Roman Republic, and Horace, the famed poet have been reunited by Tomasso Brothers Fine Art for TEFAF, which runs at Maastricht from March 1120. 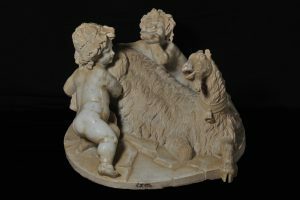 Carved in the same 17th century Roman workshop, theyhave an illustrious provenance. Originally part of the Valletta collection in Naples, they were acquired around 1721 by Thomas Herbert, the 8th Earl of Pembroke (1654–1733) for Wilton House, near Salisbury, one of England’s finest stately houses. They were displayed at the heart of one of the finest private art collections ever assembled in Europe for more than two centuries. They flanked the main chimneypiece in the Earl’s ‘sanctum sanctorum’ of the Great ‘Double Cube’ Room designed by Inigo Jones, amongst family portraits by Sir Anthony Van Dyck, and works formerly in the esteemed collections of Cardinals Mazarin and Richelieu, King Charles I of England and Thomas Howard, the 14th Earl of Arundel. Pembroke’s influence on the tastes and collecting trends of the aristocratic English in the early eighteenth century were considerable. When he embarked on his Grand Tour in 1676 and set about building a collection in the 1680s, he was all but alone. Yet the fame of the galleries at Wilton House spread amongst the aristocracy, and by the time of his death in 1733, many of England’s great country houses were beginning to be decorated with antiquities, renaissance and baroque sculpture. It is through the expertise of Tomasso Brothers Fine Art that the two works have been reunited since their dispersal from Wilton House. Cicero came into the gallery’s collection a short while after the directors had become aware of Horace. 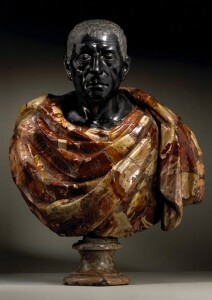 They knew instinctively that they were both great 17th century busts, and that the particular specimen of imperial porphyry used for the Horace was a wonderful quality. Whilst recognising the physical similarities of the two works, it was finding an old photograph of the Double Cube Room at Wilton House that set off months of study to discover the full history of the busts. 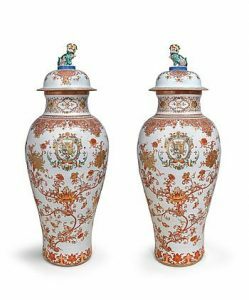 Collecting Collectors is the title of the loan exhibition at TEFAF (The European Fine Art Fair) which runs from March 11-20 at Maastricht in The Netherlands. It will feature a small but choice selection of master drawings and prints from Museum Boijmans Van Beuningen in Rotterdam. 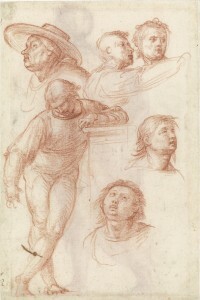 Works by Fra Bartolommeo (1473-1517), numbering 400 sheets with 500 drawings assembled in two luxury albums by Florentine collector Niccolò Gabburri in 1729, are a particular highlight of the collection. One of the albums will be included in the selection at TEFAF Maastricht 2016, as a prelude to the forthcoming large Fra Bartolommeo exhibition in Rotterdam in the autumn of 2016. The museum collection of around 17,000 drawings and 65,000 prints provides an overview of western art history from the Middle Ages. 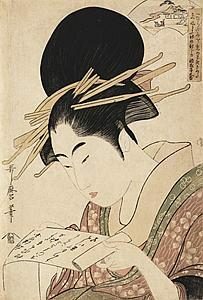 There are works by old masters like Albrecht Dürer, Lucas van Leyden and Rembrandt van Rijn and modern and contemporary artists like Paul Cézanne, Salvador Dalí, René Magritte and Yayoi Kusama. Museum Boijmans Van Beuningen is named after two collectors who both were essential in the establishment of the museum’s international reputation – Frans Boijmans (1767-1847) and D.G. 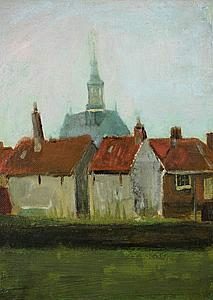 van Beuningen (1877-1955). Boijmans’ bequest founded the museum in 1849 and in 1940 Van Beuningen acquired and then donated the majority of the Franz Koenigs collection of master drawings. Fra Bartelommeo – Young man leaning on pedestal. 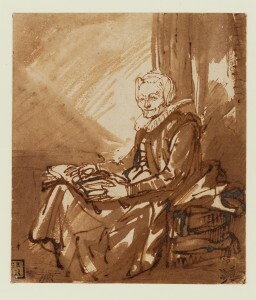 Rembrandt van Rijn – Seated woman with open book on her lap.